I actually never knew this was from Naxxaramus. 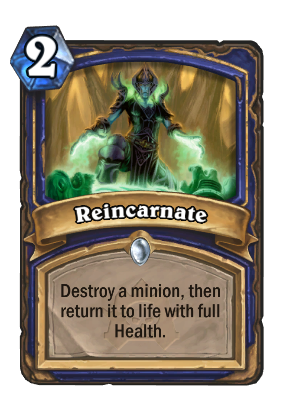 I was recently making a Standard deck, and wondered, "Where'd my Reincarnate go? I guess this is the cue for me to start feeling old. If you cast a golden Reincarnate on a normal minion, will the reincarnated minion become golden? Note: Summons minions to the right, like hero power. At first glance this card might not seem like much but it is incredibly flexible. 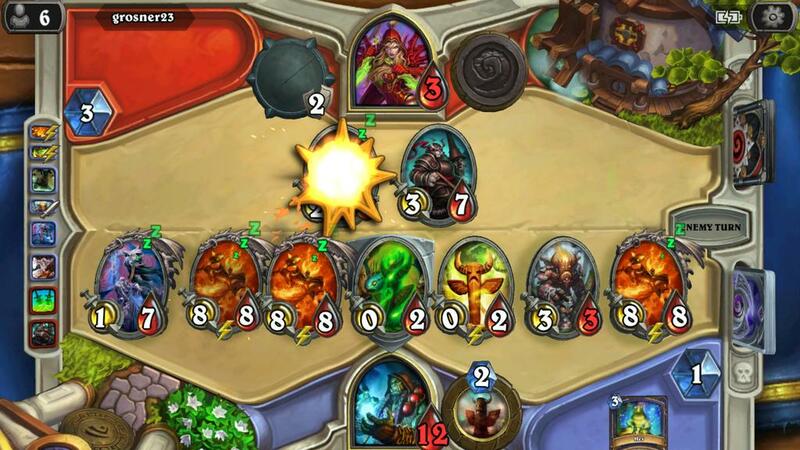 - It can even be cleverly used to 'reposition' a card like Flametongue Totem for surprise lethal. turn 10 Kel'thuzad+reincarnate. Bam. Opponent forced to dish out 16 damage in one turn or else an endless stream of resurrection awaits him. ...then ancestrial spirit them both. :D Would 2 KT bring back 2 of the minion you think? Two KT bring two of each minion. So, if you cast ressurect on the next turn, when you have two KTs - you will gain two more. Compare and contrast ancestral spirit. I think this is an average card in a deck full of deathrattling, but otherwise I would prefer ancestral spirit. And both of these cards are completely dead without a good creature to trigger. Be wary of this card, it's the kind of card that will rarely save you when you're behind. i quite like this card :) can't wait until i can get it!! You end up with a Thaddius and 2 copies of the mob which will summon 2 more Thaddius when they die. That sounds just a little broken, doesn't it? Nope. There's no reason for that. Best of all cards from class challenge!